Facebook whose primary source of revenue entails ads on its 2 billion strong social platform knows a thing or two about advertising itself. Founder and CEO Mark Zuckerberg’s evangelistic mission to offer Free Basics – its version of net neutrality – which primarily aims at giving users free access to Facebook and a few bundled apps to everyone in India, hasn’t been cheap. According to media buyers, Facebook has spent close to Rs. 300 crore – or almost double of its yearly revenue from India – on promoting this campaign across digital and offline media. Facebook, which has 132 million users in India, second biggest market after US, earns 15 cents per user in India every year, amounting to about Rs. 180 crores , according to a report by Reuters. The initiative has met with much resistance from individuals and startups alike, who believe that Free Basics violates the principle of net neutrality (Having unrestricted access to all of the internet) and puts small content creators on a disadvantage, and is claimed to have a self-serving agenda, while according to Facebook’s own claims, 3 million people in India have written to TRAI in favour of Free Basics. 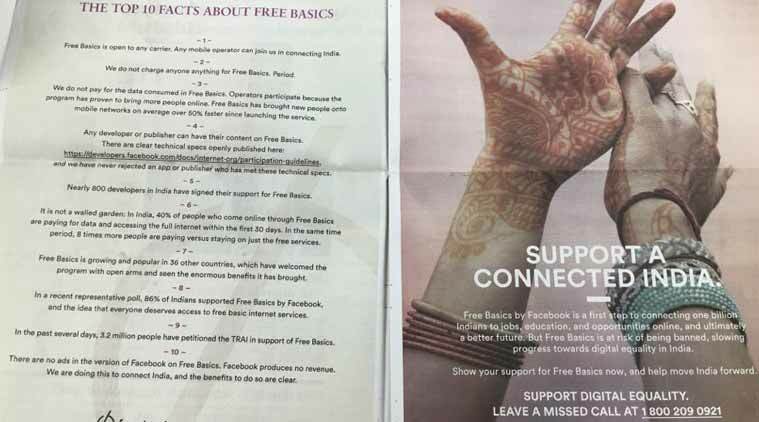 How Facebook has chosen to promote its ambiguous Free Basics campaign, however is a bone of contention for the former group of people who claim that the ads are misleading and superfluous. In fact complaints about the same have been filed to ASCI (Advertising Standards Council Of India) and the matter hangs in limbo. 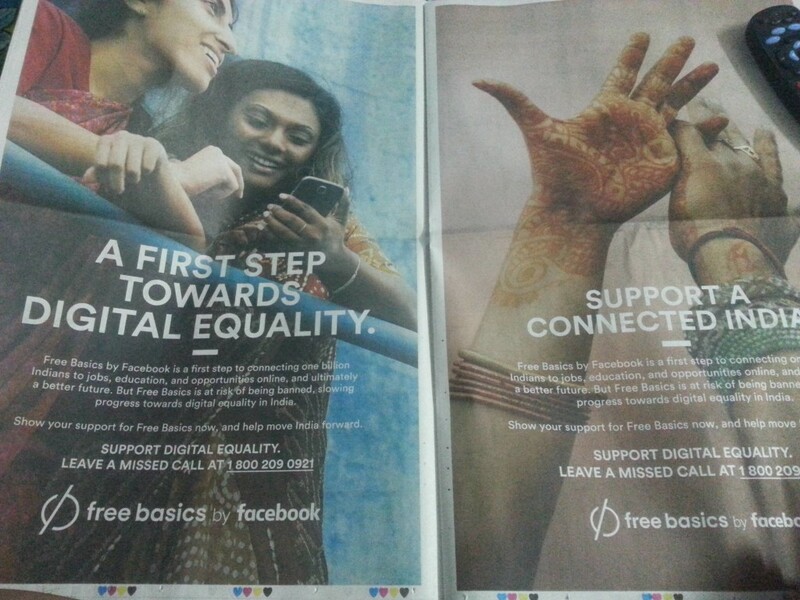 Facebook has been aggressively promoting free basics with a blitzkrieg of media promotions, both online and offline. Here’s a few of the ad campaigns that have cost Facebook crores in media spends. 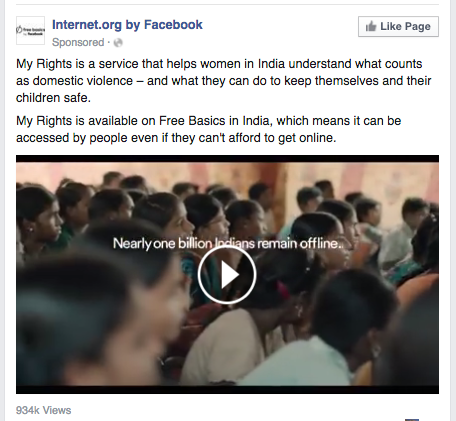 The minute long Free Basics ads have found their way on popular Indian channels during primetime spots. Facebook hasn’t shied away from advertising on rival Google-owned YouTube. Though the video has now mysteriously been taken down on YouTube, we have an honest version of it. Facebook has launched not just one, two but a whole series of twin, full-page ads in leading dailies, touted to have cost anywhere between 5o to 75 crore per newspaper. 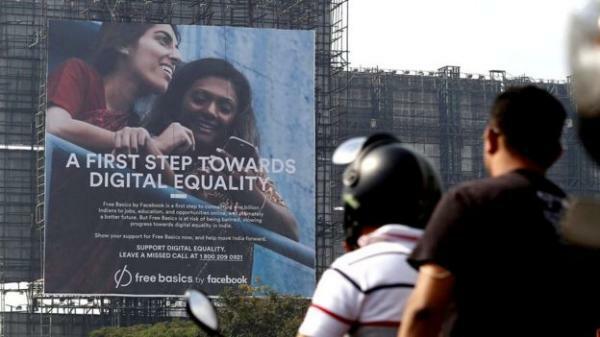 Facebook has attempted to capture mindshare with its massive outdoor campaigns with these hoardings stationed in most Indian cities at prime locations. 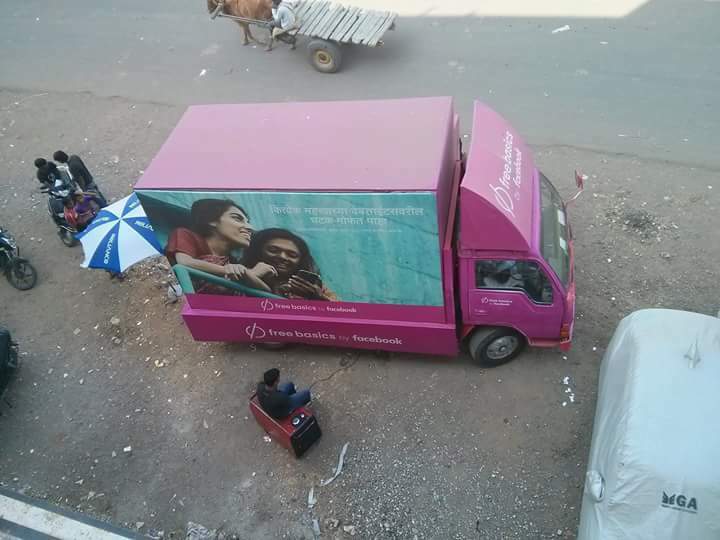 In a bid to capture all possible platforms and ways of spreading the word in smaller towns, it’s even experimented with Out-Of-Home advertising ideas like mobile van advertising. And of course Facebook hasn’t left out its own advertising platform, Facebook, out of the marketing mix. This probably is the only platform Facebook hasn’t paid for either. Having 130 million users pays for itself. Whether Facebook succeeds in its relentless mission to roll out Free Basics in India is a matter of time, the spends incurred seem rather telling of more than an altruistic agenda.